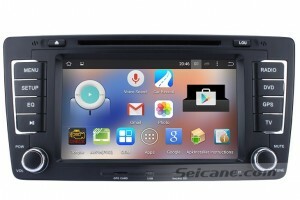 First of all, I’d like to show you a great 2009-2013 Skoda Octaiva head unit from Seicane with you. It looks attractive, doesn’t it? This unit comes with a large 7 inch HD 1024*600 multi-touch screen and beautiful interfaces for you to improve your in-car environment, you can adjust the panel light, car logo, wallpaper and main menu according to your reference. If you are going to replace your factory radio for more convenience and enjoyment, this unit is your ideal choice for your Skoda Octaiva. 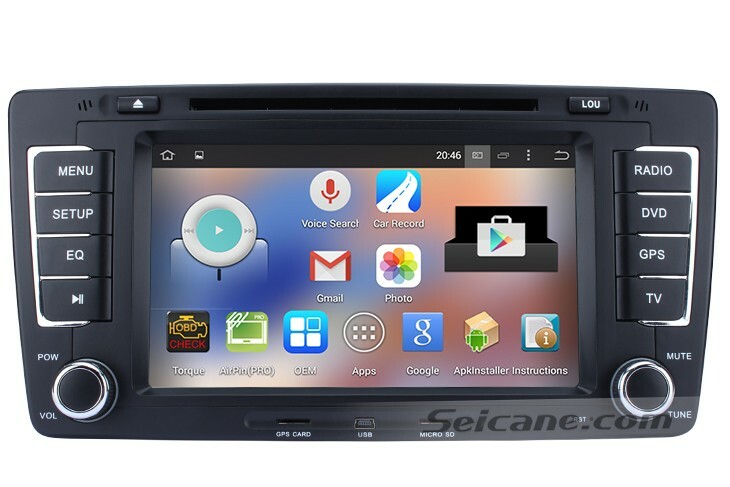 This Skoda Octaiva head unit supports a lot of functions which include GPS navigation, DVD Player, FM/AM radio, RDS, TV, Bluetooth connectivity, iPod, USB, SD, etc, you are able to find what you’d expect from a head unit in it to make your car life more convenient. If it’s the first time for you to use a new aftermarket, you may be confused at how to use it. Here I’d like to share some easy instructions on how to set settings of this Skoda Octaiva head unit with you. Above all, you turn on the head unit, then find the setting icon in the main menu, click it, then you enter the setting interface which include many logos, such as GPS navigation system, Bluetooth, iPod, radio, etc. Now let’s take GPS navigation system for example. Before you use it, you need to install maps into this unit. You are able to use an SD card to download maps from your computer, then you insert this SD card into the unit, set the GPS path and install the maps into the unit. After that, you can use the GPS navigation function. Starts and destinations are adjustable according to your own needs. Next we go to the internet connection. This unit is built in WIFI and can support 3G network. You can get access to the internet when you are in range of a WIFI hotspot or insert a 3G dongle. You select a WIFI hotspot and connect it, then you go back to the main menu and click IE browser to surf the internet freely. To enjoy music while you are driving, you can set your favorite audio balance from the setting interface as well. The video value can also be adjustable, you are allowed to set its brightness, color, contrast, etc. There are 8 colors adjustable with RGB in the panel light. This unit can support up to 37 kinds of OSD languages, such as Chinese Traditional, Chinese Simplified, Japanese, Korean, Arabic, English (Australia), English (Canada), English (new Zealand), English (Singapore), English (United kingdom), English (United States), etc, you can set the language according to your own needs. There are some useful tools built in this unit to bring you the convenience in your car, such as time, calendar, calculator, etc. You can use them whenever you need. It’s easy to use such a multifunctional head unit. You will soon be familiar with the setting items and operate this unit well. Wish you like this intelligent Skoda Octaiva head unit and enjoy your great time with it!